It is often difficult to keep track of your personal budget. And it’s even more so when you are a student. But if you follow certain rules and focus on your goals, you can not only save your money but also multiply it. This will help you save a good amount of money until the end of your studies and give you a little time and confidence for the first time right after you graduate from a university or college. In this article, we will talk about how to control your money, earn money, and save it. Every day we make small purchases that we don’t pay attention to. A bottle of lemonade or a chocolate bar – small things you don’t usually write into the budget plan. Still, they affect the thickness of your wallet by the end of the month. Let’s take a closer look at how to avoid extra costs. We do a lot of shopping only because we often have a desire to have something at the very moment we see it. Most of all, it concerns food or drinks. And a person always thinks that buying a jar of soda or chocolate bar will cost him little and will not affect his budget. But a few such purchases a week can cost you a relatively large amount of money at the end of the month. This should be monitored. Also, on which products there are discounts and buy them without spending a lot of money. Usually, such promotions exist in large chain stores. In addition, there you can find large packages that may initially seem expensive, but when if you recalculate your expenses for a month, you will see that this way you save a lot more. Washing powder is only one of such examples. If you are a student, it is easier for you to buy large packages of products that you use daily. Plus, you can offer your friends to use them with you, and split the check when making a purchase. When you write down all your expenses, not only you can check how much money you spend on a particular product at any time but also motivate yourself not to make extra purchases because of the finite amounts of money you see. It is very useful to keep such records because you cannot remember all the information about the purchases you make during a month. Get yourself a notebook or download any convenient application to your smartphone. You can immediately put there all the products you need and work exclusively with this plan. Or, you can fill out a list of your costs as you go shopping. Such writing, among other things, will help you track the amount of your money and plan big purchases ahead, since you will know what you can and cannot afford in the future. You will know how much you need to save, save, and earn to buy what you walk. You can also compare the amount of money you spent over two different months and understand why one month cost you more than another, draw conclusions, and use this information to your advantage. Many college students find work during their studies. This makes it possible to make some money and make life easier. The main thing is to find such a job so that it gives you time to study and rest so that by the time you take your diploma you will not ruin your health. Usually, students work on weekends, part-time jobs, or where they work at night. The last option is not the best as it can significantly affect your well-being and you will come to the university pretty tired. And this, in turn, will affect your level of knowledge and your ratings. Think about it when you choose your job. If you still decide to find a job, but you have absolutely no time for all your business, you can always get college essays for sale in some essay writing service. 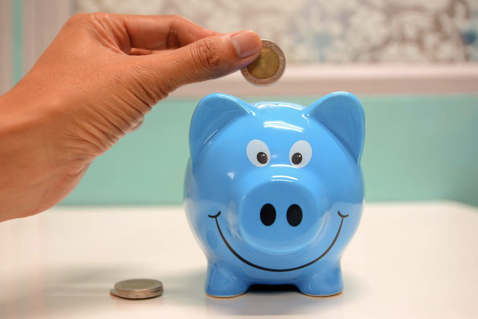 Thus, we can confidently say that saving money, proper planning and control of your budget, as well as part-time work, will help you not only save you some money but also start saving a certain amount for the future. By the end of your studies, you will not panic because you really need to find a job, pay off debts, or raise some money for what you have long wanted. You will have already created a nice money cushion that will guarantee your peace of mind for the next few months. Well, or weeks, it all depends on how much money you were able to save and how quickly you are going to spend it. Remember to keep your desire for quick purchases under control, record all your expenses and do not forget to check information about promotions, discounts, and sales. All methods are good if it helps you raise money by the end of college. The main rule in this matter – do not start to steal. Because all the money you have collected will need to be deposited as collateral. And we don’t want such problems.